Kazeem met with Patricia Lee on the morning of Friday 23rd of November at Novetel Southampton for coffee and a chat. “Patricia who?” I can hear you say. Is she a relative of Bruce Lee of the ‘Enter the Dragon’ fame? No. Is she a relative of Ang Lee of the ‘Crouching Tiger, Hidden Dragon’ fame? Not really! However, she is a fiercely loyal and honest pharmacist. She is one of many hard working pharmacists I know. Patty is more of a Tiger than a Dragon. Like the courageous Pi Patel, like enigmatic Richard Parker and like the effervescent Buzz Lightyear, she vows to take pharmacy ‘to infinity and beyond’. 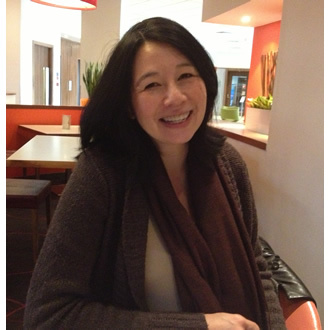 Patricia Lee is the pharmacist I eluded to in my ‘time to reflect’ article on the MUR Evangelist journey. Her support of the project came at a time when I was at a personal low with respect to that project. She is a great friend. You should find the interview interesting (I did) and an extended version of the interview is on the latest instalment of our YouTube video. Enjoy! Patty, I have known you now for over 7 years. Three of those years we worked closely together at Tesco at Bursledon Towers. You are a very experienced community pharmacist of many years standing. Can you briefly chart your career profile to date; say from University to now. I saw your picture recently in the Tesco staff room with a caption: To infinity and beyond. It made me smile. How has the community pharmacy landscape changed and how do you propose to take it to infinity…and beyond? I have interviewed you on two occasions. The first was after my MUR Evangelist presentation in February 2008. In that interview you described how you were very inspired by the presentation. Soon afterwards, you came on-board giving the project your full financial backing. What are your thoughts on MUR today? Do you think it is here to stay? I also interviewed you recently after the Transfer of Care event in Eastleigh. You talked about focussing on patients who will benefit from domiciliary MURs. Since that event, can you give some examples of how your practice has changed and describe some of the challenges of delivering domiciliary MURs. When Buzz said in Toy Story 1 that ‘I’ve set my laser from stun to kill.’ and Woody replied, rather ironically: ‘Oh, great. If anyone attacks we can blink em’ to death.’. What will you say to anyone who is cynical about the real values that community pharmacists can bring (and are bringing) to patient care? It is clearly a very demanding and sometimes thankless job that you do. But over the years, I have watched you really pull it together with such class. What is the secret? Thank you very much for your time Patricia. By the way, wishes to express her support for the Save the Children charity. Please make a donation to the charity, if you can. Thanks for listening. Bookapharmacist.com: bringing you the pharmacists’ perspective!